Kerrin Hearfield: Show, don't Tell. Not so easy is it?! Well i learnt something during my blog hopping last week, largely propelled by Rach Writes post on physical telling, which then linked to another great post detailing it further. Did you know there is something called Physical Telling? No? It's where you add a physical reaction to your story when, usually what the character says should indicate what their possible, or even probable!, reaction is. eg, "Did you know Jill's pregnant?" Sarah smirked. My mouth could have hit the floor. "No! To who?" I think what this has shown me (and it's probably not the best example!) is that it is often okay and acceptable to leave some things to the readers imagination. It is also a good idea to balance your telling and showing through dialogue and interiority (didn't even know that was a word!) - or, internal dialogue. With the interiority you can't show, it's unnecessary as you are in the character's head anyway, so it's the perfect time for the telling! I get confused with this showing and telling stuff, and i'm sure i'm not the only one. Do you have any showing/telling rules or lessons that you have come across and want to share? Please! Hi Kerrin. Don't we all struggle with this one! No matter how hard we work at it, a CP will still pick up a 'telling'. 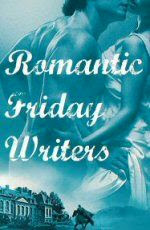 Just a reminder that RomanticFridayWriter kicks off again this Friday. Hope you can share in the fun!